The Lares trek from Cusco to Machu Picchu is a good option for people who want to avoid the more popular Inca Trail. 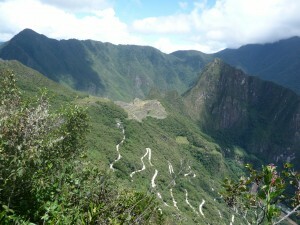 Or for those who were to late to reserve the Inca Trail. This less known 4-day trail gets you through the Lares Valley. It combines amazing mountain views and passes with azure lakes. And you will see lots of Quechua communities and get to know small Peruvian villages. We leave very early in the morning by bus from Cusco to the village of Calca (1 hour drive). There we do a stop for half an hour. After this, we continue driving for three hours to Lares, a high pass of 4265 meters. From there, you will have a nice view of the glacier and the Sawasiray Pitusiray. Then we will arrive in the warm valley of Lares (3200 meters), where we have enough time to visit the thermal baths. After that we begin our trek, climbing up to 3800 meters to our first campsite located in Huaca Wasi. The climb is not so difficult. We walk through beautiful valleys with small villages where people still walk around in traditional clothing and speak Quechua. While walking we will see wild orchids and begonias. Once we arrive in Huaca Wasi, the tents are already set up and the cook is going to provide the meal. You will get a cup of coca tea together with your meal and you will spend the night in a spacious two-person tent. After a good breakfast we start our climb which will take an hour. It has a difficulty of 4-5, because we climb up the highest part of the trek: the Huaca Wasi pass (4500 meters). From here you have breathtaking and unobstructed views of both sides of the pass and you can overlook the blue lagoon (Auroray). This lake is created by the melt water from the glacier Pumahuanca. During the rest of our hike we cross herds of llamas and alpacas and traditional houses made of adobe. Here we can also see the Andean Ibis and mallards. After lunch we walk another 1.5 hours, until we arrive at our second campsite, Miski Unuyoc. It is located at 3800 meters and is close to the village of Manatnay. After your breakfast we leave early in the morning to walk down to Yanahuara (4 hours), which is located 2280 meters above sea level. On the way we pass a bunch of Queñua-trees, an almost extinct specie. Yanahuara is a beautiful village in the Sacred Valley. It is also the largest food provider for Cusco. Here we will have our lunch and after this we take a local bus to Ollantaytambo. The ride takes around 1 hour and 20 minutes. You can visit the village of Ollantaytambo, while we are waiting for the train. This train takes us in about half an hour to Aguas Calientes. This is the village near Machu Picchu. In Aguas Calientes you will spend one night in a hotel in a double bedroom with private bathroom. Depending on the departure of our train, we will have dinner in Ollantaytambo or Aguas Calientes. The next morning we enjoy a very early breakfast and we take one of the first buses up to Machu Picchu. We will see Machu Picchu with only a few tourists because we are going to see the first sunlight over Machu Picchu, which is a magical moment. 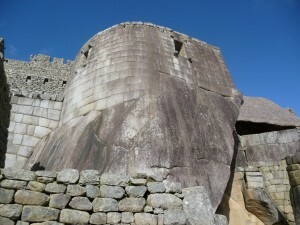 At Machu Picchu you get a guided tour. In the afternoon we return to Aguas Calientes, where we take the train back to Ollantaytambo. From there it is back by bus to Cusco and back to your accommodation. • Entrance to Machu Picchu. 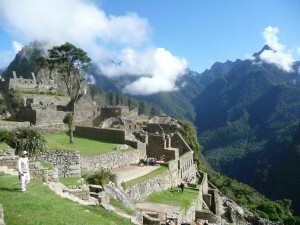 Not included and optional: entrance fee to peak Wayna Picchu or Mount Machu Picchu. Please notice: If you want to visit one of them, you need to book far in advance. • A minimum of 200 USD, non- refundable deposit per person. You can pay the rest of the costs of the trek at our office in Cusco. Please note: from 21 days before your departure we cannot refund your payment. • A copy/ fax or scan of your ISIC student card, if you have one. People under 28 with an official card receive a discount. Please send the copy immediately during your booking, otherwise you can not receive the discount. Contact us now to book your Lares Trek from Cusco to Machu Picchu!